Saturday, August 29th. We’re excited to partner with Cornetta Lane, the creator of a unique story sharing experience in Detroit. 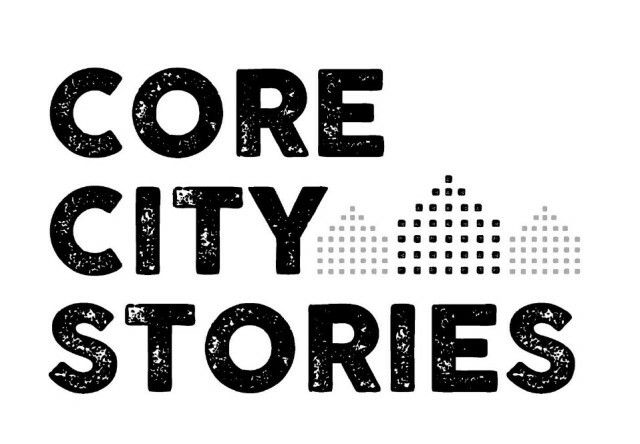 Core City Stories aims to preserve the historical identities of Detroit neighborhoods facing cultural rebranding as a way to erase them from the Detroit story. These very neighborhoods are the center pieces in the creation and maintenance of Detroit’s vibrant and lush culture. A culture that influences the world from music, dance, media technology, architecture, food and farming, and births community solutionaries to modern-day issues. There’s a constant push and in some cases success to rebrand neighborhoods so that the effects of racism, divestment, and marginalization are not a part of the story, as if these things never happened. This provides the ‘clean-slate’ facade to new-comers. The ‘clean-slate’ agenda enables and empowers new-comers to feel comfortable in their ownership over Detroit’s ‘resurgence’. The erasure further disables people who have been present here their entire lives and generations thru all the glory and the-not-so-glory, but have stuck it out and survived. Detroit survived because of them. Those who have held up Detroit through all it’s economic, legal, and political up and down heaves have also had to do so in their own lives, as lifetimes have been directly impacted on a personal level by those heaves too. Detroiter’s are who should benefit first from new resources and entry points to those areas of improvement. Erasure of historical inequity allows those who are actually benefiting from gentrification to justify why they are and others are not. Story sharing is one way to ensure the history of a place remains and gets wrote by the people who never write the history book. The Cass Corridor, now known as Midtown Detroit, is an example of one of those neighborhoods whose name and place has seen a thorough overhaul in the last 5 years. This has been done in an effort to make people from outside the city, specifically non-black people and/or people of color and/or US citizen status, feel safe in visiting and moving from their suburban areas to these re-branded neighborhoods. “As a result, I decided to create a project around preserving the historical identities of Detroit neighborhoods in jeopardy of cultural “rebranding”, through the art of storytelling. We will achieve that by mapping out a walking/biking tour to hear the stories of residents about the history of their neighborhood as they know it. On August 29, 2015 at 3PM, I will host a bike tour through Core City and the surrounding neighborhoods. The tour will include 8 stops where 8 residents of the area will use their porch as a stage to tell their story about the history of their neighborhood as they know it. Fender Bender Detroit will be providing the bicycles and supporting these stories, and the work of Cornetta to complete the story book too. The story-tour is Saturday, August 29th 3pm. Join us!